My old buddy, artist Howard Bender, has quite the resume. He’s drawn Superman for DC Comics, the Riverdale High gang for Archie Comics, and he illustrated the children’s book “The Amazing Spider-Man: Look and Find,” among many credits. Last year, Howard relocated to his hometown of Pittsburgh, and the guy is up to his old tricks. 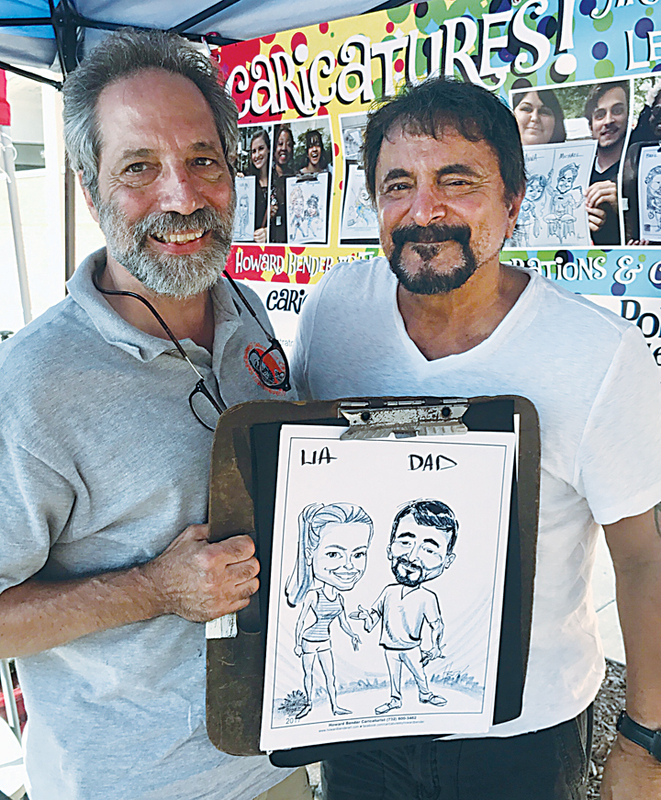 There he was, in August, manning a caricature booth at Little Italy Days, the 15th annual installment of the area’s largest ethnic festival. Little Italy Days 2017 featured a Miss Little Italy pageant, a pasta-eating contest and a bocce ball tournament hosted by wrestler Bruno Sammartino, 81, an Italy-born WWF hall of famer. 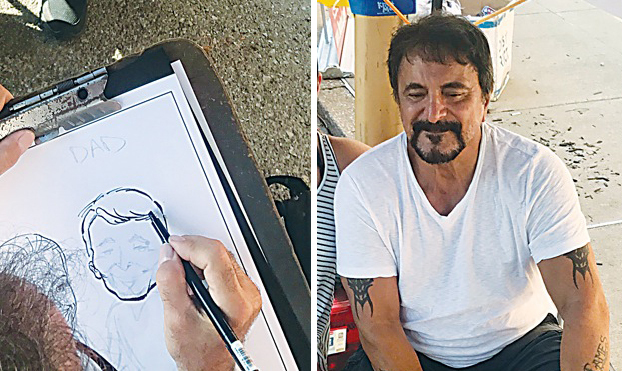 On Aug. 20, a Sunday, Howard landed a surprise celebrity customer: Pittsburgh native Tom Savini, the makeup/special effects artist and actor who has specialized in horror and exploitation films. 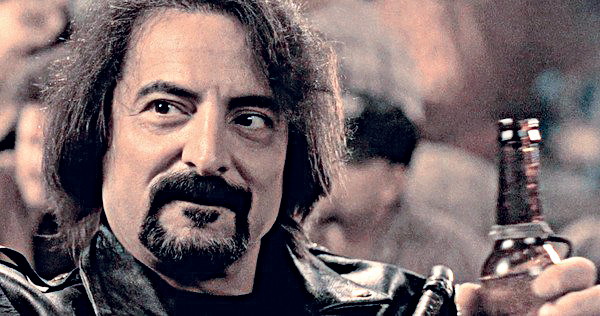 Savini created FX for such Fangorian films as “Dawn of the Dead,” “Friday the 13th” and “Creepshow,” and played roles in “From Dusk Till Dawn,” “Grindhouse” and “Machete.” For his sins, Savini became a “Simpsons” character — a distinct honor in pop culturedom. He often collaborated with another Pittsburgher, George A. Romero, director of the groundbreaking 1968 zombie film “Night of the Living Dead” who died on July 16. Howard shared these photos of the encounter, which show Savini looking fit and game at 70. The photos were taken by Howard’s son Justin, who I’ve known since he was a (hilarious) little boy. I’m glad he was with his father for this historic summit. It’s so-o-o Justin. Justin had an informative conversation with Savini, who told Justin that Stephen King felt confined in his “Creepshow” costume, and once filming was completed, couldn’t wait to tear it off. From “Creepshow”: Stephen King got a lesson in horror-movie-makin’. Right: E.G. Marshall was in Sidney Lumet’s “12 Angry Men” before co-starring with thousands of cockroaches. Savini also said that thousands of Madagascar cockroaches were used for the still-horrifying “Creepshow” sequence in which E.G. Marshall’s head becomes filled with … cockroaches. Savini added that some Madagascar cockroaches escaped and mated with local Pittsburgh cockroaches, resulting in a “mutated” cockroach strain. 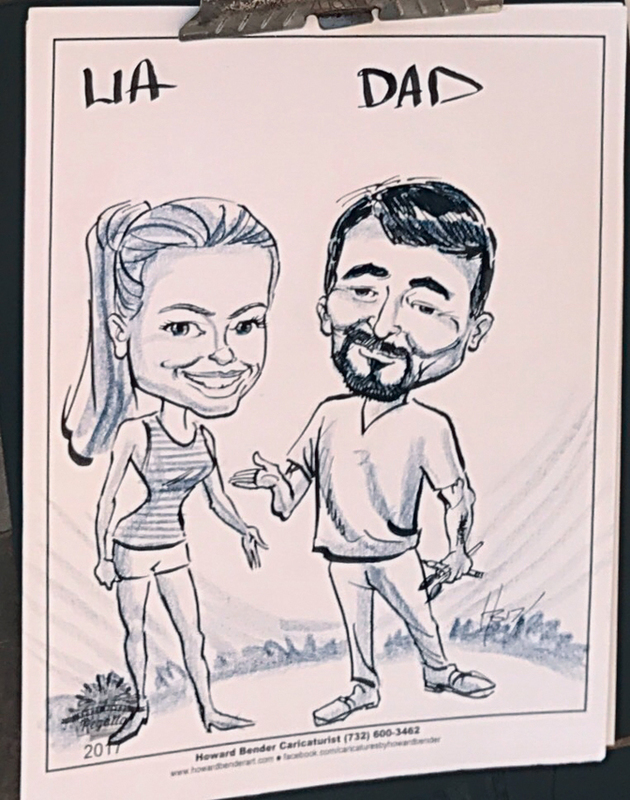 It’s an oft-observed tradition at Howard’s stand that the subjects pose with their caricatures.